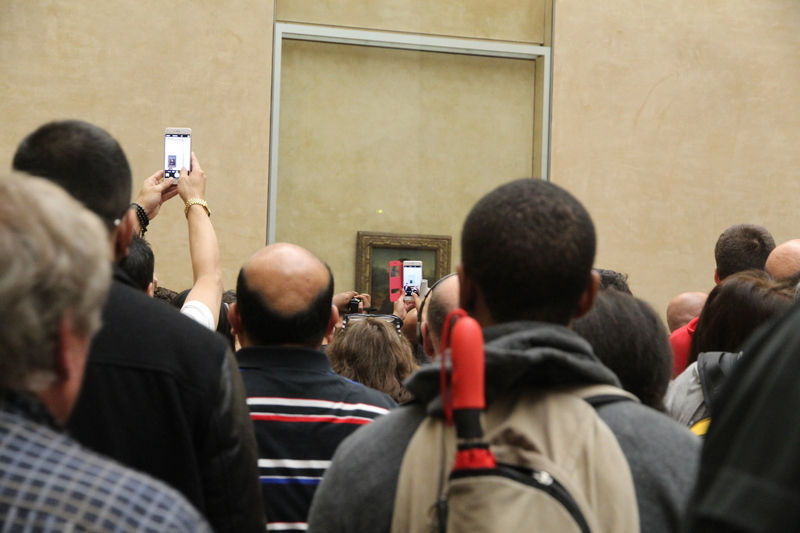 Planning to visit the Louvre? Take stilts | Where to next? 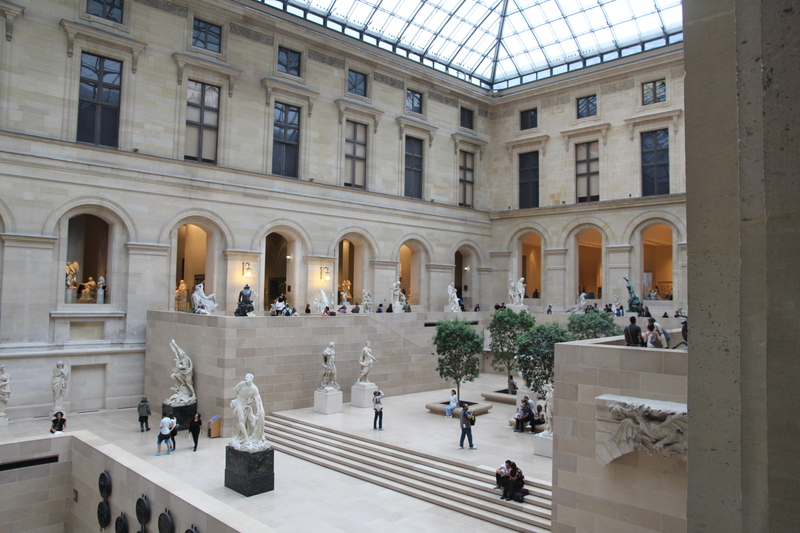 Just about every visitor to Paris will manage to squeeze in a visit to that famous art gallery–museum, the Louvre. 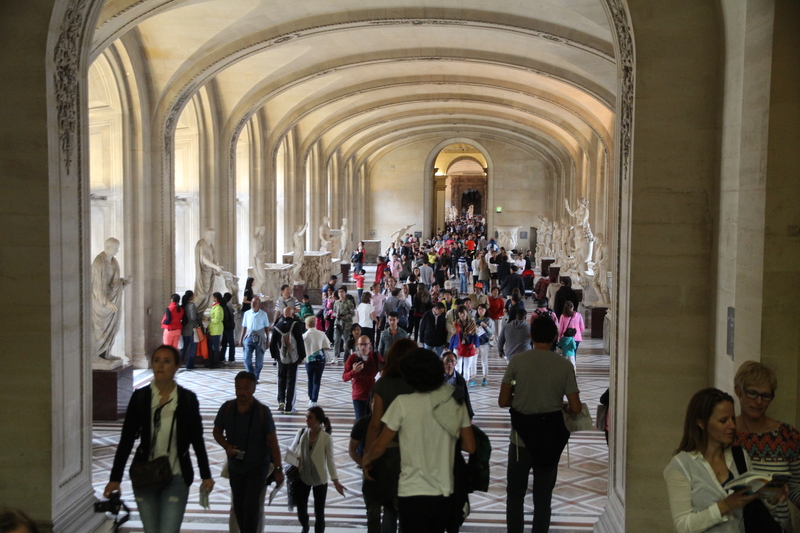 In fact, it is the most visited museum in the world with about 15,000 guests per day. Poor John and I were a paltry two of them. We joined the queue, which wasn’t too long, about 2:30pm because Poor John’s guidebook said admission was half-price after 3pm. You can imagine the ticket seller rolling her eyes when she laughed and said ‘that deal ended years ago’. I checked his guidebook, purchased secondhand a couple of weeks ago in Australia—copyright 1994. Duh! So we agreed then that history might not have changed, but the particulars of open hours and admission prices probably have. But as soon as you enter the museum itself you are confronted with the other 14,998 visitors who decided to come that day. And they all have cameras, tablets or mobile phones. It’s a good thing I didn’t come expecting a close-up view of the museum’s two most popular exhibits—Mona Lisa and Venus de Milo. You can barely see them for all the arms holding cameras aloft. Luckily, I had a reasonable view of these gals about 12 years ago and an even better one in the 1970s. So if you want a good view now, take your stilts. But there are plenty of other gems to see. 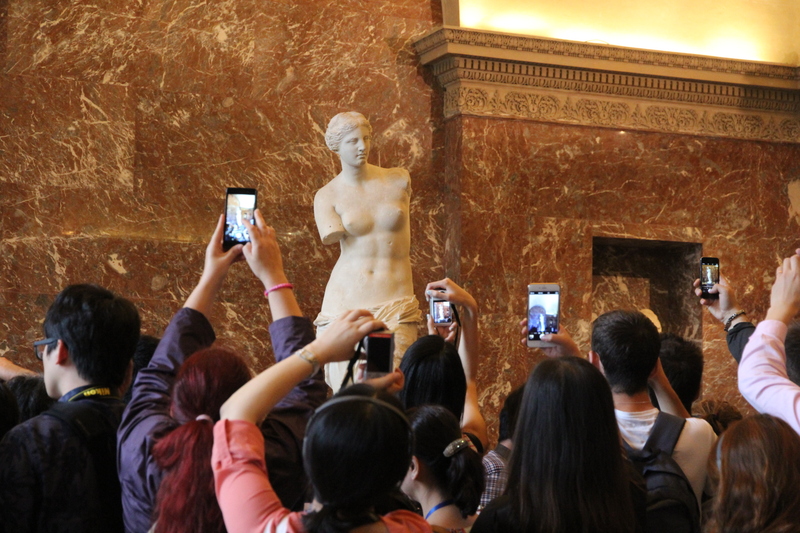 I’ve been told that some people come in just to see the Mona Lisa and Venus de Milo and then leave. Woo-hoo! Good riddance. So on to some of the other exhibits. The museum holds about 380,000 items, with about 35,000 on display at any one time. Works date from the extremely distant past to the 21st century, and include just about any kind of work you can think of. Poor John and I headed to the Mona Lisa and Venus de Milo first, just to say we’d tried, and then moved on to enjoy some other treats. Having lived in the Middle East for quite a few years, we lingered at some relevant works. We also sought out the furniture displays that show how the Louvre (it used to be a palace) might have been furnished. I didn’t take a lot of pictures. Too crowded to get many good shots of displays, and just crowded enough to get good shots of people. Lots of people. Don’t forget your stilts. And if you’re tired and hungry after all this sightseeing, try a restorative French dish of salade niçoise on my cooking blog. It’s definitely worth going. And I think being there first thing in the morning makes a difference. Some areas aren’t too bad. Love the ceilings and floor tiles, just imagine what it would have looked like when it was a palace. Trouble is the people didn’t bathe much then and had to swing pomanders round for the stench so be thankful it smells better now. Great post Peggy, I enjoy my armchair travel through your blog. You can never be too sure about the smells generated by a big crowd, but it was okay the day we were there. An amazing museum, with one-third as many visitors daily as there are objects to look at. It is an amazing museum. Glad we went, but won’t miss the crowds. Can’t remember much from my visit in the mid 1970s, but looking at the interior and volume of tourists makes me glad I did visit way back then. It’s always worth a visit, but I think early morning is better. Yep, way too many tourists. But they pay the museums way. I am not one for crowds Peggy! 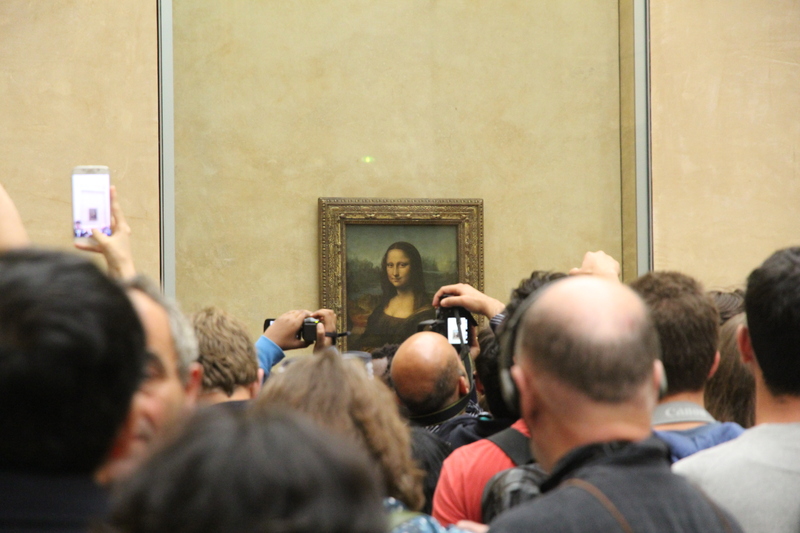 I have been to the museum many times and that was in the days where one was not allowed to photograph the Mona Lisa (which I almost got arrested for even back then) MANY years ago. I can also see tickets have gone up tremendously! I don’t love crowds, but I can put up with almost anything for at least a while. And, yes, admission is high at 15 euros per person, but I read that admission fees cover just half of the museum’s annual expenses. Oh Carol, it is my pleasure and privilege to have you join me on this continuous holiday. When I started this blog it was mainly for my own record—sort of a public diary. I never imagined having so many followers, and feel very humbled that others are happy to toddle along with me. Thanks so much for the company. Ditto to Carol Taloni’s comments! And many thanks to you too! I agree with Martin. I wonder why it’s so famous. 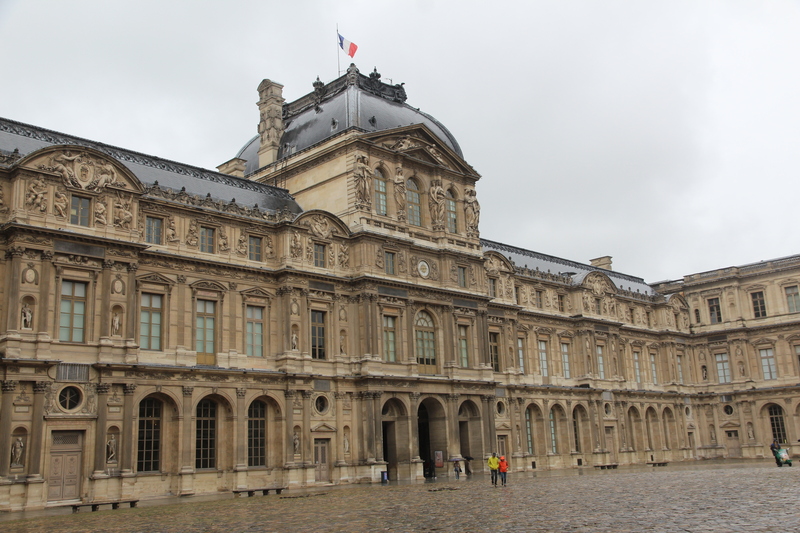 The Louvre is definitely a must-see in Paris, but I’m not so sure I’d go on a free day. That would take the crowds to unimaginable numbers. I have almost exactly the same shots from when I was there in ’96!!!! Ah, so the numbers haven’t changed much over the years. I remember smaller crowds in 2003. Maybe it was a different time of day. 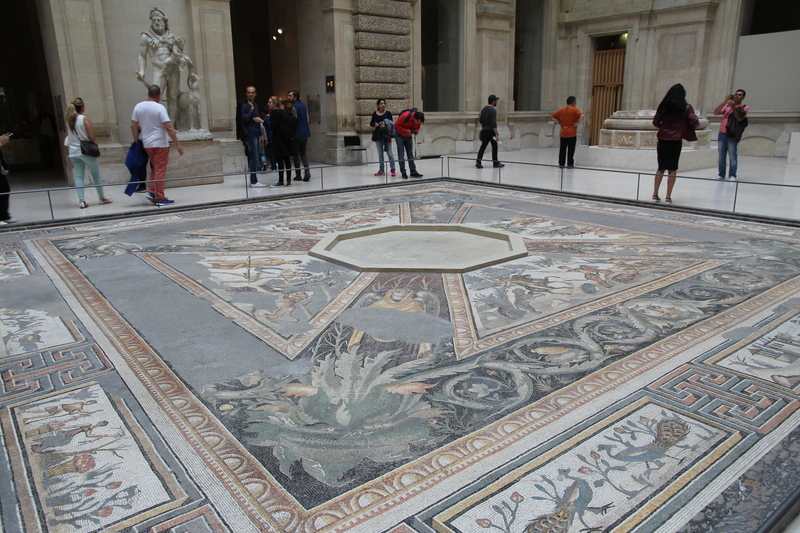 Yes, the Louvre is filled with worthy treasures. I haven’t been since 1982. 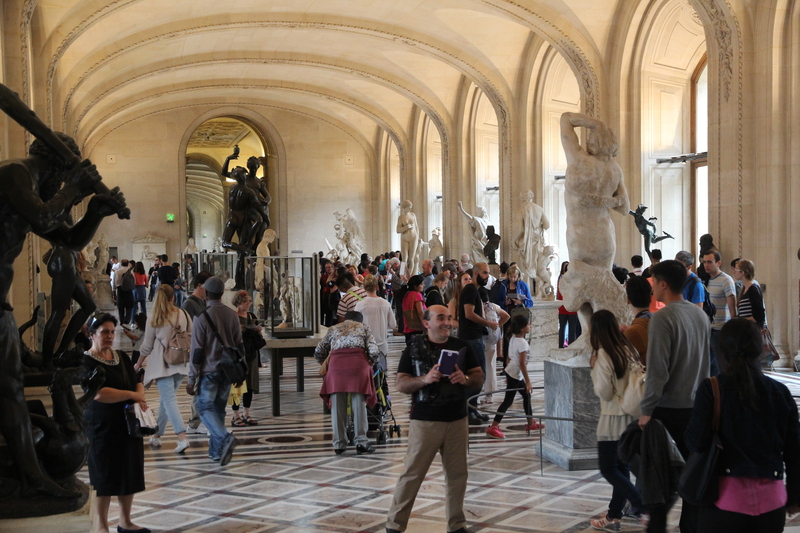 I visited the Hermitage in 2008 with a tour of 40 minutes to crowded most famous paintings. Then I returned alone the next day and had a wonderful time often rooms with no other people. The elderly guards turning my map up the right way and pointing me off to the next delight. Love the grey hair sisterhood. These Museums are so big and have so many wonderful pieces that often what interests me most is not the ‘must sees’. You are so right—our grey brothers and sisters do look after us. And we are lucky when the most wonderful pieces are not the must-see ones. One of them would help, but then I’d be one of the crowd. If I’m really desperate I can always look them up in a quality art book. I loved going there! Paris is such a beautiful city! I hope I can go back in the near future. Thank you for sharing this post! You are most welcome. I hope you manage to get there soon. After all that, a test is waiting for you at the end. Isn’t the Louvre an incredible place? I’m not even a fan of art and I really enjoyed it when I visited Paris last month. It really is incredible. I loved the Musée d’Orsay and the Pompidou Centre too. Unfortunately I didn’t get the chance to go into the Musee d’Orsay! But I did see le Centre Pompidou, which was very impressive! 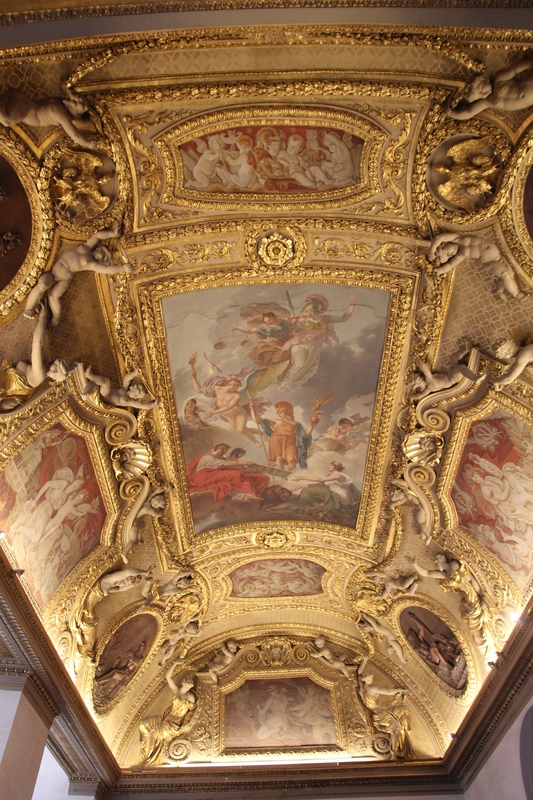 Did you visit la Musee Jacquemart-Andre? It’s more of a hidden gem but an absolutely lovely mansion with lots of artwork. Thanks for that tip. I return to Paris tomorrow and have a week there to see lots more.